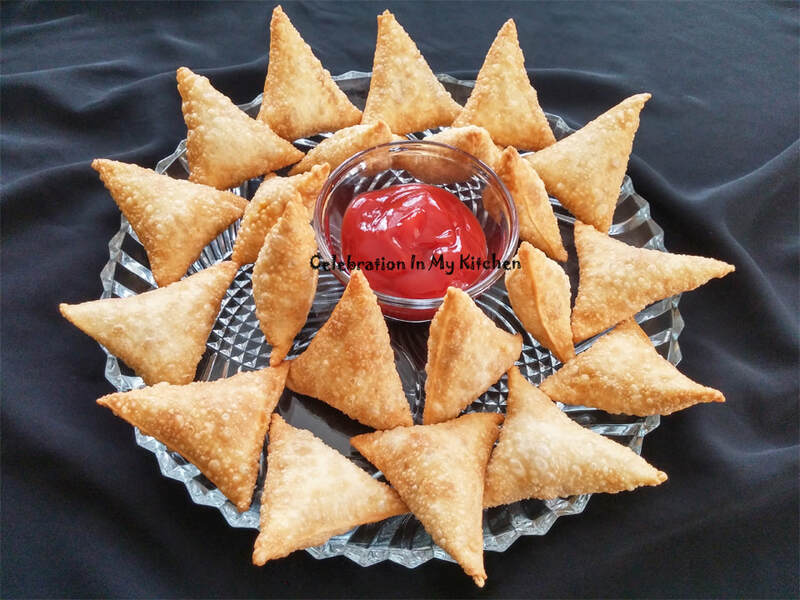 The samosas from Muslim restaurants in Mumbai, India, have a distinct taste and are memorable. A savoury snack, crispy on the outside with a delicious minced meat filling, preferably beef or mutton. I have tried to replicate them and satisfied with the outcome. 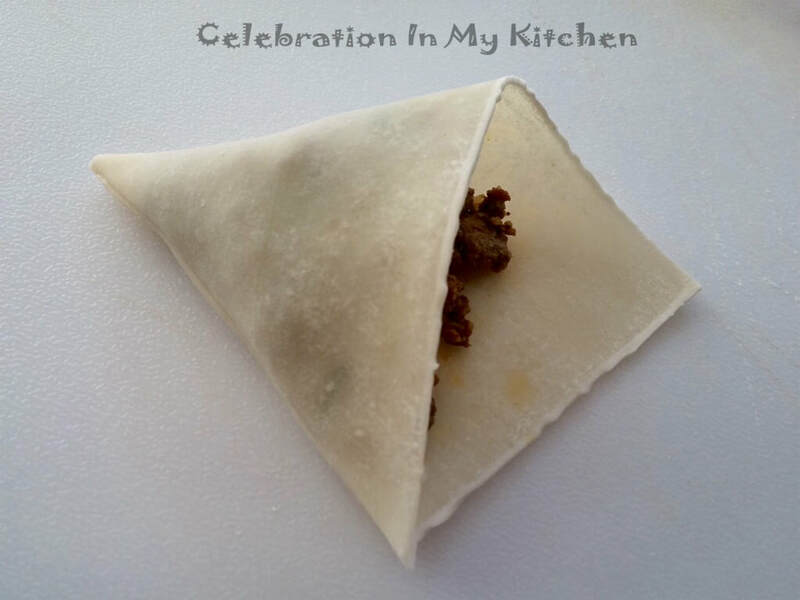 Spring roll pastry were used to enclose the stuffing and then deep fried. Perfect to carry for a picnic or potluck, serve as an appetizer for a special gathering or snack at tea-time. Filling can be prepared with ground beef, mutton or even chicken. 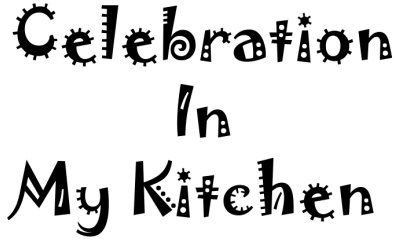 It can be made ahead, refrigerated and used when required. 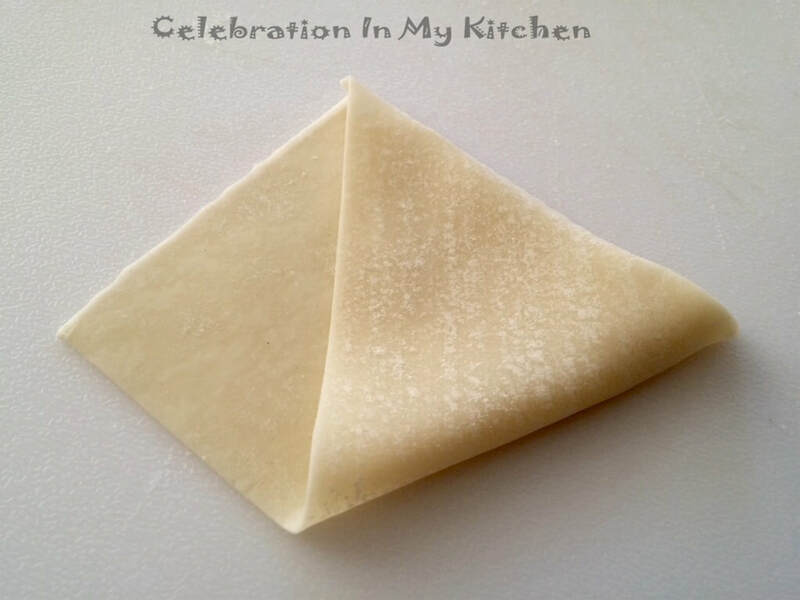 Pastry sheets readily available in the market makes it easier to assemble and put this snack together. They can be deep fried in advance and reheated in the oven. Alternatively, fried just before serving. The crispy outer pastry with the spicy meat filling is a sure treat to the taste buds, tempting you to go for a second or third. 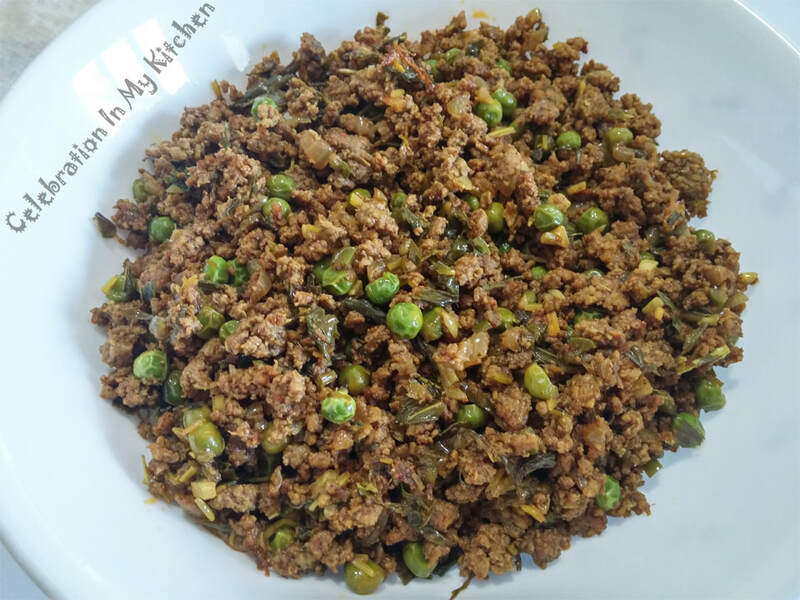 Brown the ground meat in a skillet with no oil. If excess fat is released, drain out or if too lean and no fat, add 2 tablespoons oil. No oil was used to prepare the filling. Hence, not indicated in the list of ingredients only for deep frying. Stir in the onion, green chillies, garlic and ginger with the meat. Once onion is soft, mix in the spice powders (except garam masala powder), vinegar, water and salt. Cover and cook on medium heat till the liquid has nearly reduced. Include the green peas, mint and coriander leaves. Let the peas cook and all the moisture completely absorbed. Sprinkle the garam masala powder and check for seasoning. Set aside to cool. 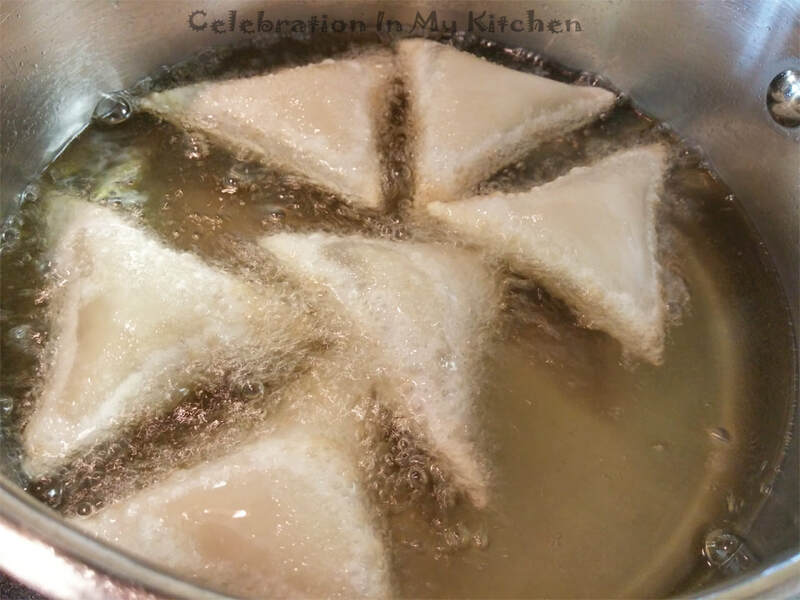 To enhance flavour, I added a pinch of bouillon cube and a hint of sugar. In a bowl, mix the water and flour to form a paste. 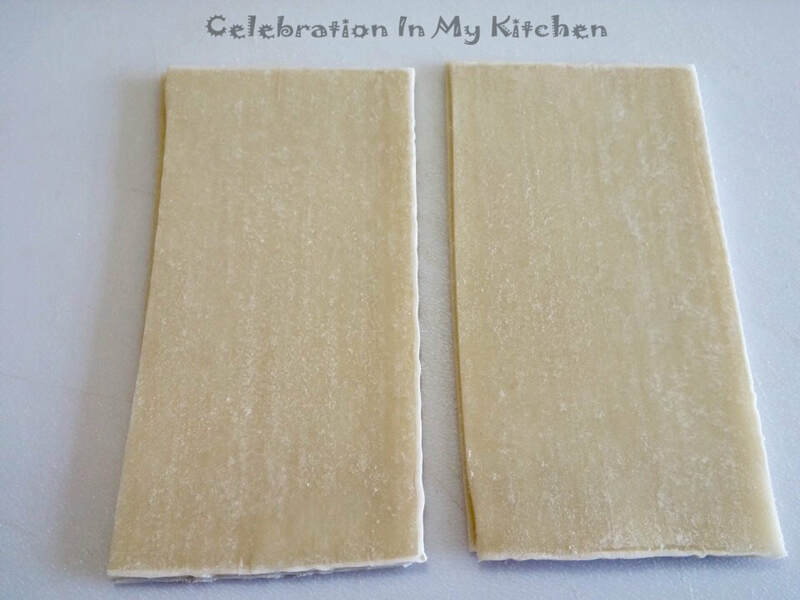 Place the pastry sheets on a work surface and cut into two equal halves. Take each sheet and fold a corner inward, then diagonally ensuring to align with the edges meeting at the end to create a pocket. Using a silicone brush, seal the edges with the paste and press firmly. 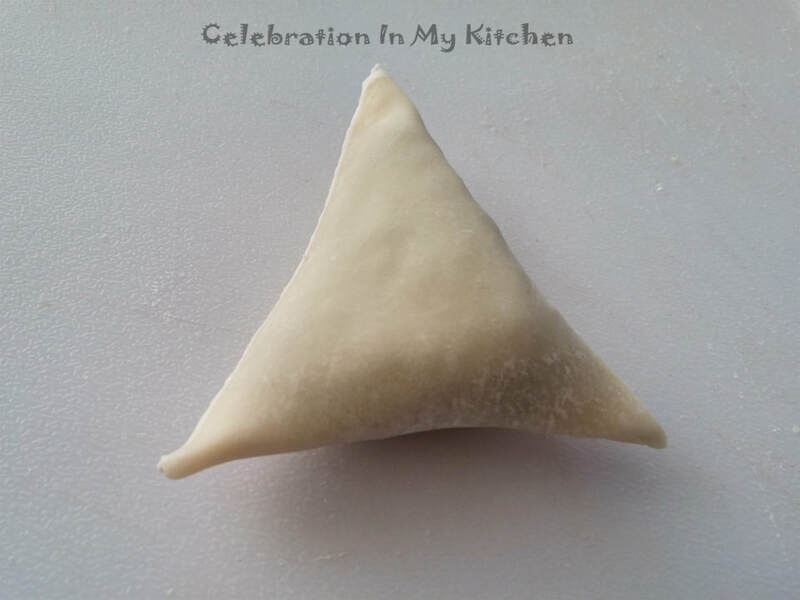 Stuff a spoonful of filling and seal the flap to form a uniform triangular-shaped samosa. 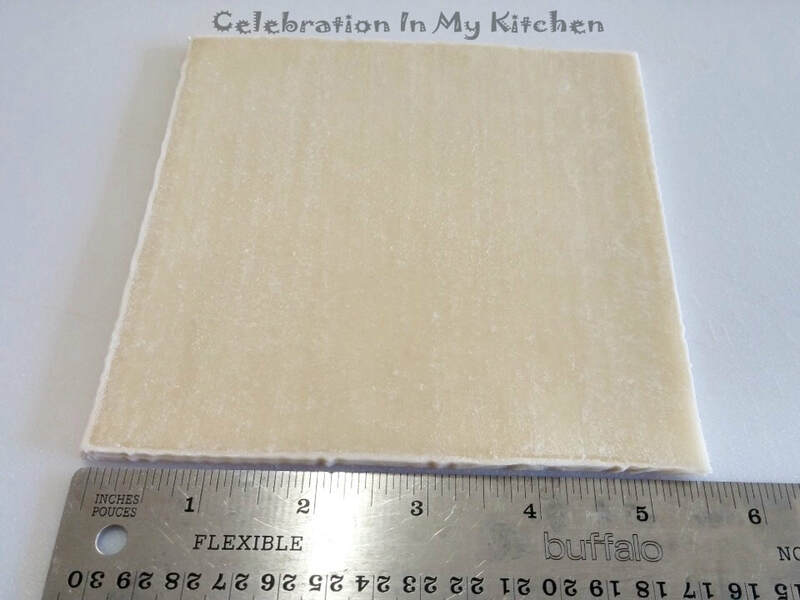 See pictures above on how to shape, fill and seal. 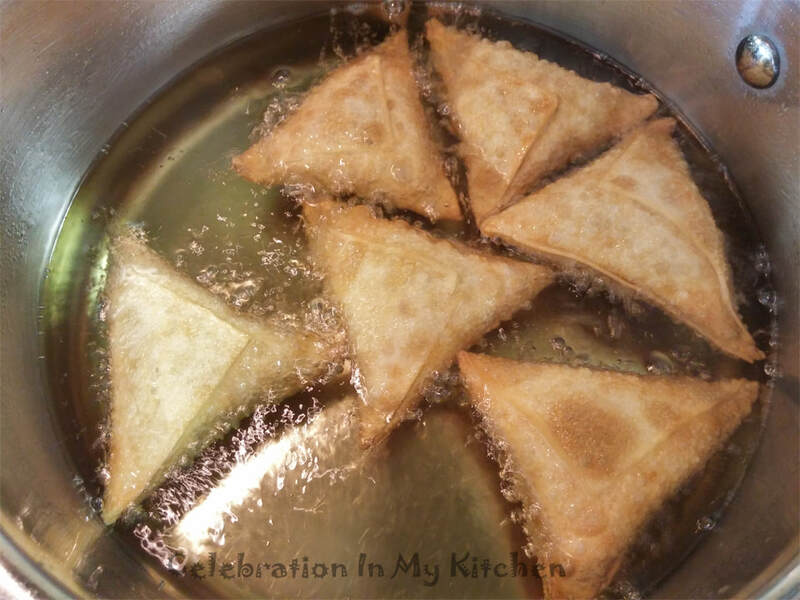 To prevent from drying, cover pastry sheets and prepared samosas (before frying) at all times with a moist thick paper towel. If the towel dries out, wet it again. 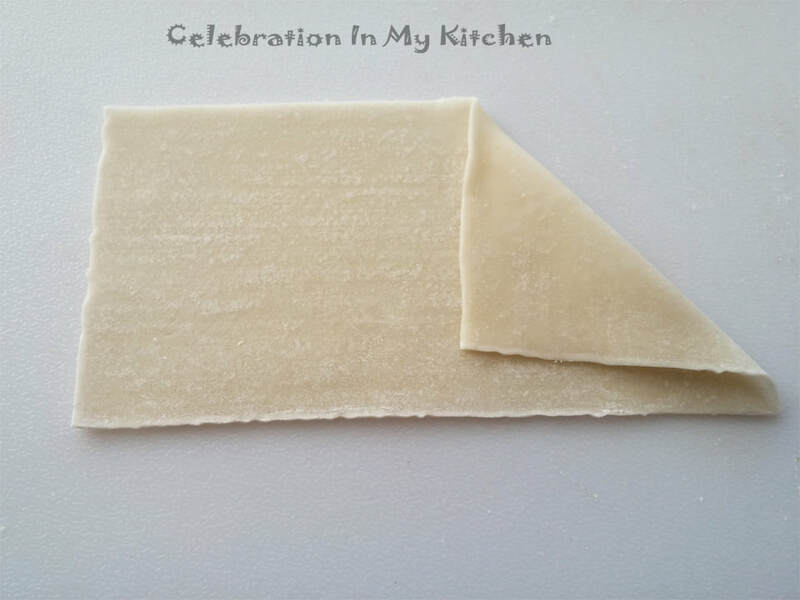 Thaw pastry sheets overnight in the refrigerator making them pliable to work the next day. Heat oil for deep frying on medium-low flame. Fry in batches of six turning samosas after a couple of minutes on each sides until crisp and golden brown. Drain on thick absorbent paper towels. Serve hot with ketchup or your favourite chutney. 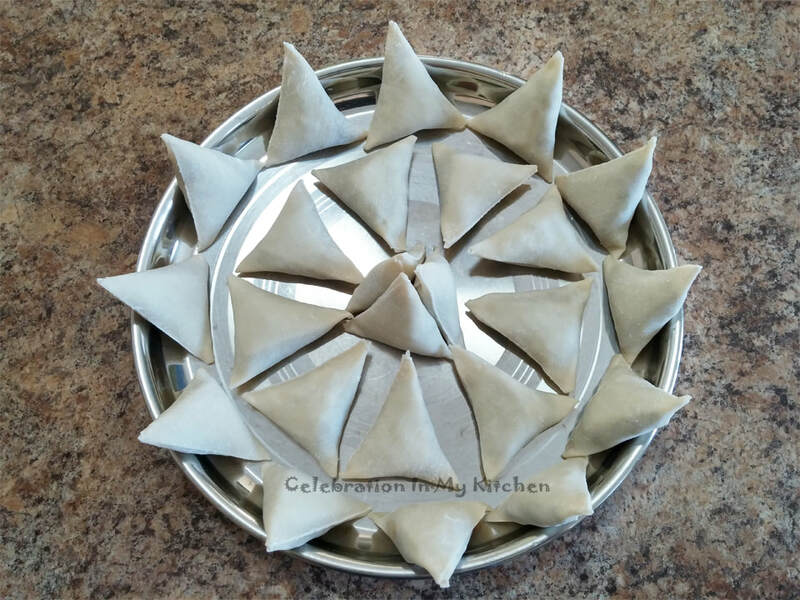 To warm leftover samosas, preheat oven to 400 F or 200 C. Place samosas on a baking tray and warm for 5 minutes. 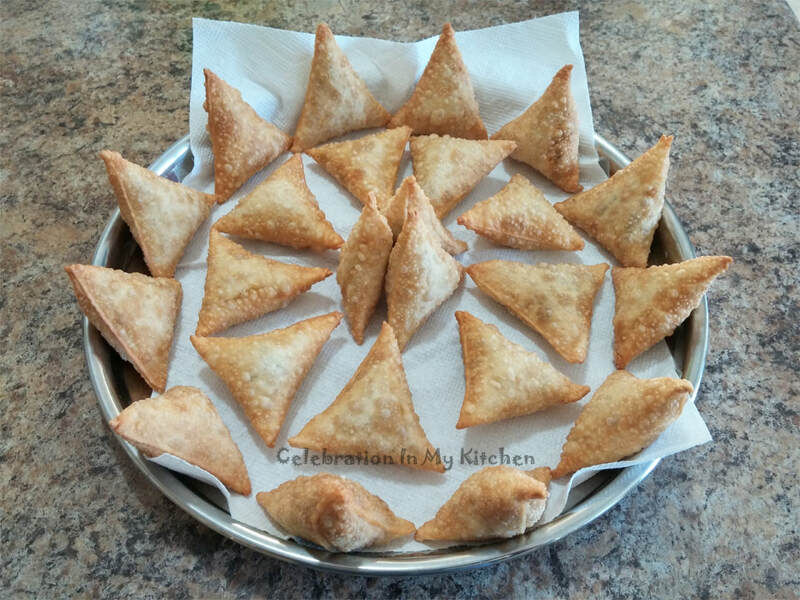 Turn off the oven and let samosas continue to warm until ready to serve. I left them for 30 minutes (after shutting off the oven) till my oldest son returned home from work. They did not darken and were warm enough to eat. Ground beef was used, which can be substituted with mutton or chicken. 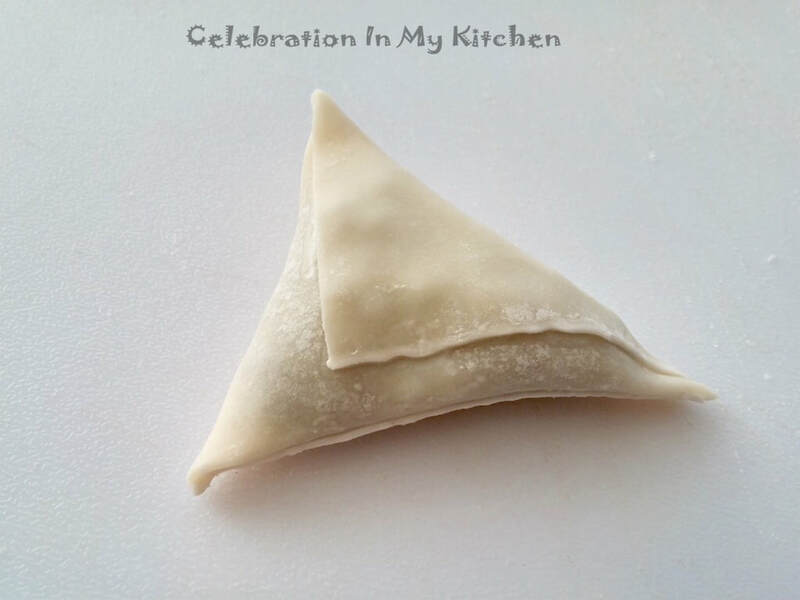 Spring roll pastry or samosa sheets are available at Indian and Asian stores.